If you’re addicted to your phone like I am, or need to access data for work, traveling abroad can sometimes present a challenge. You’ve got to figure out a way to get data while traveling, and probably want the cheapest, easiest, and fastest way possible. At least, that’s what I want when trying to get some sweet, sweet data. I have a couple different ways for how I get data while traveling. Starting your research early is key to ensuring you’re going to have access to WiFi and data when you’re away. BUT FIRST. Before you leave home, download an offline Google map of the cities you will be visiting. Stop reading this now and do it. This way even if you don’t have data you can at least know where the heck you are. SECOND! Download the language packs from the Google Translate app if you’re going somewhere where English is not the primary language. Do it now! Maps and Translate will come in handy no matter how you choose to access the internet. Ok, back to the juicy data info. The cheapest, but often most unreliable method to get data while traveling and accessing the interwebs when you’re abroad is to rely on free Wi-Fi. You can usually find it at your hotel/hostel/Airbnb, in some public centers or transportation hubs, or at restaurants. However, if you need info on the fly, you’re screwed. That’s the consequence of free, man. 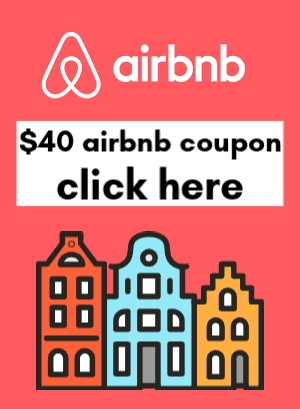 I did backpack in Europe for 10 weeks using this method. It was hard. Especially because I was trying to do work while traveling and sometimes free WiFi is unreliable and spotty. Sometimes “free WiFi” means buying a meal at a bar so you can use their codes. So sometimes free isn’t really free. This is my #1 preferred method of accessing data while traveling. You have to have an unlocked phone to use foreign SIM cards, however. If you don’t have an unlocked phone, you’re likely going to have to rely on a different option to get data while traveling. Sorry! By buying a foreign SIM card you will always have access to data and you can tether your laptop to it, too. Great for digital nomads! There are a couple ways to purchase foreign SIM cards. The easiest and fastest way is to buy them from Amazon in advance. I purchased SIM cards for China and France this way most recently. If you have an old phone, get your provider to unlock it – I have ATT and you can easily do this online. It takes a couple days to process. This is what I mean when I say start your research and planning early. If it takes a few days to unlock your old phone and a couple days to order a SIM on Amazon, you need time to get everything done so you’re not panicking last minute. Once you have your unlocked phone and Amazon SIM, pop that baby into your phone. I would suggest not turning on the phone until you land in the foreign country. It won’t work until then anyway. Once you turn your phone on, you’ll get a text message with a local number you can use for your trip. You can also turn on your personal hotspot so you can share data with other people or tether your laptop to it. These local SIM cards usually come worth data, minutes, and texts. For example, the French SIM I just bought from Orange had 10G of data, 120 minutes, and 1,000 texts for $50 and was usable in several countries. Compared to what ATT offered me–$60 for 1G—it was apparent which was the better option! Most countries offer pay as you go data. America is more unusual in that we all have phone plans versus just topping up like in other countries. Orange Holiday Europe: $50 for 10GB Internet Data in 4G/LTE (data tethering allowed) + 120 minutes + 1,000 texts in 30 countries in Europe. I did not register the SIM at all. Just popped it in, turned my phone on and started using it. I think if you plan on having a SIM longer than 30 days you must register it. China SIM: I bought this SIM card for China that was about $20 for 7 days with just 2G of data. If you don’t/can’t purchase SIMS in advance, all foreign countries sell local SIMs in airports, train stations, and quick shops. When I was in Costa Rica earlier this year I bought a Kolbi SIM card at the airport. I think it was about $15 for a couple gigs of data, which suited me just fine. Tip for calling home: let’s say you’re going the free Wi-Fi route or just buy data without minutes. You can purchase a Skype USA subscription to call cells and landlines with unlimited minutes for only $2.99 per month. It activates the calls over Wi-Fi/data, like FaceTime does. I also love it for when I am getting short on my minutes! Like I said before, ATT was going to sell me a terrible package of 1G of data for $60. That’s a raw deal. They have some other plan which is $10/day, but I am not eligible for it since I have a grandfathered in old plan. Oh well! I definitely made out better with the SIM. Check your local carrier to see what their travel rates are, especially if you don’t have an unlocked phone. I picked up a T-Mobile Hotspot a few years ago. It’s a little bigger than a matchbook, and I can pre-load data onto it. I use this guy when I travel to Mexico and Canada since it works there. They sell 1G for a week for $10. I can use it to tether my phone or laptop. One cool thing is that it also gives me access to a T-Mobile number, so I can access some perks of being a T-Mobile user! For example, airlines that use Gogo in-flight WiFi allow T-Mobile users to use the internet for an hour for free while in flight. Pretty cool perk! 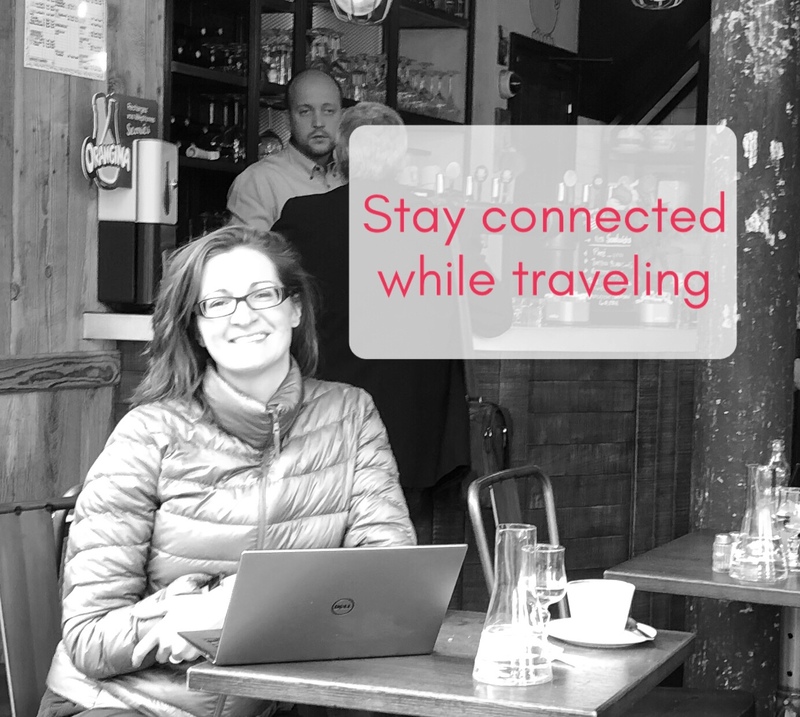 These are my top tips to get data while traveling. If I discover any new ways, I will update this post! How do you guys like to stay connected while traveling? And you might be interested in my Costa Rica packing list and my guide to one day in Providence, RI!